These centers sell Jeju Olle Stamp Passports and various trail branded souvenirs. Jeju Olle Trail Information Desk at Jeju International Airport. Located in front of arrival gate on the ground floor. Info centers are closed on New Year’s Day & Korean Thanks Giving Day. Jeju Olle Tourist Center (Route 7) will be open on holidays. The Ganse Lounge center on Route 18 remains closed. Opening TBA. 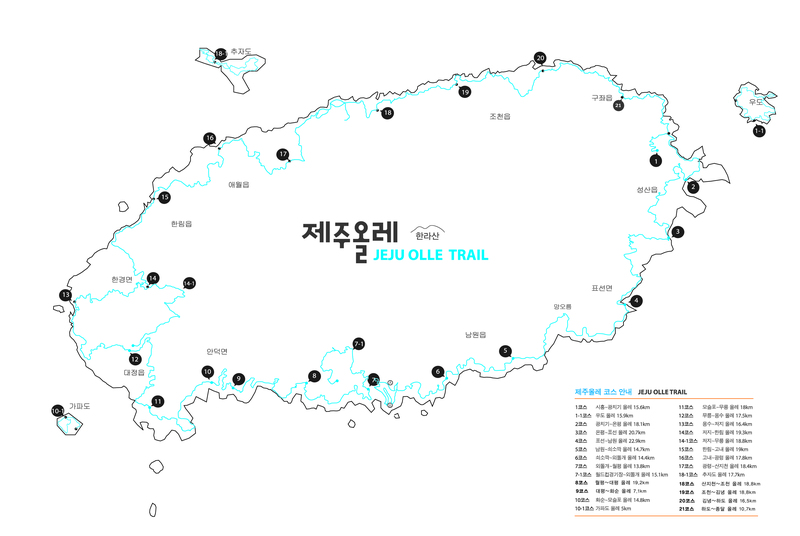 Welcome to the Jeju Olle Trail Official English Guide. Well, it has taken a few years to get there, but here I am feeling very humbled and happy to be running one of Jeju Olle Trail’s official windows to the wider world. I’m Jim Saunders, originally from England, but now call Jeju Island my home. I’ve been walking Jeju Olle Trail since 2010. I’ve also been a volunteer with the trail since 2012 in various roles. hi, i am planning to participate on the annual jeju walking festival, may i know the date schedule for 2019? Hi, May i know which route will be cover for this year? When can I make registration for the jeju walk festival 2019? Registration is not available at this time. Please wait until some time in the summer.